ALERT!! Before we begin, I want to report that since 2008, when the U. S. Federal prevention group (USPSTF) recommended that men over 75 not get tested for prostate cancer (PSA), there has been an uptick in more advanced and more highly malignant prostate cancers now being diagnosed. This study was recently reported at the 2016 European Urology Congress. Men over 75 were 20% more likely to be diagnosed with more advanced disease because they were not routinely screened and therefore were not diagnosed until there were obvious symptoms. 2. 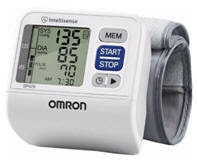 New updates on Blood Pressure readings!! 4. Suicide—what are the early signs? 5. Asymptomatic Carotid Artery Obstruction causes few strokes! !—what are the facts? Also comparing surgery with stenting for carotid disease—the latest! 7. It is Allergy Season! What is new? Regardless of candidate support, healthcare is a key national and political issue. Since Hillary supports Obamacare (adding healthcare to all illegal immigrants), I will start with Donald Trump this month and then move to Bernie Sanders next month. In researching the candidate’s plans from their websites, it is clear they all are as vague as they can be so as to not promise something they might not deliver. Regardless of their plan, outside experts must weigh in on these plans, and then we hope there will be some unbiased opinions. Candidates can promise the moon, but in the end, the Congress will have to approve plans for it to become law. Of course, the president can veto Congress’ recommendations. Reviewing Mr. Trump’s website, and here are some highlights. Although it is not stated he has, on several occasions, stated that pre-existing conditions will not be excluded when applying for health insurance. 1. Repeal Obamacare (affects 30 million) including illegals. 20 million Americans still do not have healthcare even though Obamacare is available. The alternative is explained below. 2. Prescriptions will be legal from other countries, thus significantly reducing prices in this country. Congress has not negotiated prices for Medicare. Canadian drugs are at least 50% cheaper. Even though not legal, there are several Canadian pharmacies right in the Tampa, Clearwater, St. Pete area. The feds have bigger fish to fry than go after Medicare patients. When Medicare recipients hit the donut hole and have to pay full price for drugs, this could really help. Mail orders from Canada only require a physician’s prescription. 3. Medicaid will become federal block grants to the states (states run Medicaid programs already with a small federal subsidy). How much the feds will pay and what stake the states will have is not stated. 4. Insure plans across state lines will create competition and reduce premiums. That will have some economic impact, but it isn’t clear how big. 5. Health insurance premiums will be fully tax deductible (as they are for businesses that pay for their employees). It appears there is no recommended changes for the insurance industry. 6. HSAs (health savings account) will be used to pay for the out of pocket costs of healthcare. Contributions to the account will be tax free and can be passed on and used by heirs or other family members. (He does not propose any change for the insurance companies). 7. Healthcare providers, clinics, and hospitals will have to provide full transparency for all costs up front for patients to shop for the best prices before purchasing healthcare. However, if a person is in a narrow plan market, choosing other doctors could be tricky if not impossible. 8. The federal government will negotiate prices with Big Pharma for Medicare recipients (as they already do with Medicaid), which will bring down the drug prices considerably. Note that Canada’s socialized plan does not pay for drugs at all, although they do negotiate lower prices with Big Pharma. 9. Totally reform approach to mental health care (not defined). This better happen no matter who is president. 10. Tighter immigration laws will reduce the number of recipients of Medicaid thus reducing the expanding costs to states. We are currently spending $11-22 billion a year on illegals. If Trump gets in, you can bet there will be a mass exodus back across the borders. Each single illegal currently receives $1890 per month from the Federal government and an additional $580 from Social Security for a total of $2470. The average American pensioner receives $1012 after paying SS and Medicare taxes their whole life. Keep in mind Hillary is proposing Obamacare for ALL illegals. The gates of our country are wide open. 11. Eliminate fraud, abuse, and waste in healthcare throughout the system. It is costly to do that, but it is clear it must be done. Why isn’t it done now? All talk and no action. The AMA is recommending to the FDA to stop drug advertising on TV (it is about time). Healthcare is not affordable and no candidate can reduce the cost while maintaining high quality and accessible care to all Americans. Last year, there was a 10% overall increase in prescription prices (brand names-14.77%--specialty drugs-9.21% and generic drugs-2.3%). Not negotiating with Big Pharma is crazy. Also remember closing our border properly will decrease the illegal drug trade which is costing the U.S. billions, while the drug trade makes $10 trillion a year worldwide. Next month, I will report on Bernie Sanders’ plan of free Medicare for all. There has been much said about how low blood pressure should be. a) blood pressure should be 120/70---120mm or less for systolic levels and 70mm or less for diastolic which will reduce the risk of heart failure by 25% and sudden death by 27% for people over 50 years of age. Reference-- (SPRINT and ACCORD studies). b) Lowering the blood pressure this low does not lower the risk of coronary artery events (only heart failure and sudden death primarily from arrhythmias). c) Staying on intensive BP meds increases the risk of syncope (fainting or passing out), hypotension, kidney damage, and electrolyte abnormalities. When standing up, many patients will get dizzy. Patients can feel fatigued and not feel their best with lower blood pressures. d) This is a major decision between you and your doctor. Feeling well is the prime goal in quality of life. There is room for being practical in any health decision. Talk to your doctor about what they recommend. 1) The American College of Cardiology now states that home or ambulatory testing of blood pressure is a more accurate way to diagnose actual hypertension than in a doctor’s offce. This should be performed at different times of the day for an average reading. 3) Take your home blood pressure monitor and compare with the doctor’s office readings. Very important!! population does not change the eventual mortality risk of the disease, unless there are risk factors that dictate it, like hypertension. 5) Emphasis continues to be on reducing risk factors (don’t smoke, weight management, good nutrition, limit alcohol, managing elevated lipids, and daily exercise). 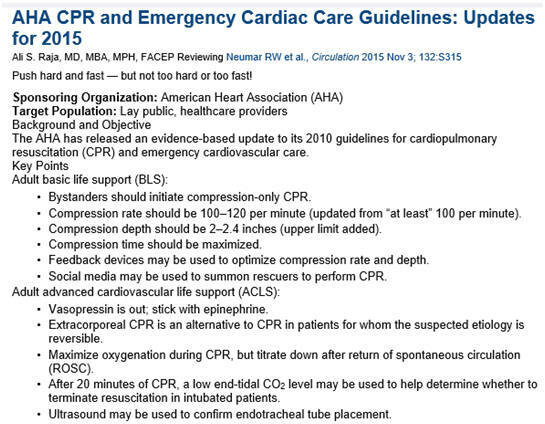 We lose people every day, because CPR (cardiopulmonary resuscitation) is not initiated by the public until EMS arrives. We all need to refresh how to perform it. CPR saves lives!!! 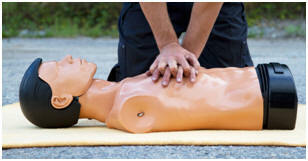 Only 46% of victims receive CPR out in the public. Only 8% of victims survive if cardiac arrest occurs outside the hospital. 70% of cardiac arrest occurs at home. The American Heart Association recommends HANDS ONLY CPR. The only real difference for the laymen is deeper compressions 100-120 times a minute. That is very fast. That is at least 2 times per second. The rest is for healthcare professionals and first repsonders. Get certified!! 4. Suicide—what are the signs? The suicide hotline--1-800-SUICIDE for help! People who commit suicide frequently talk about it. Do not dismiss this!! It is a call for help, and those who hear this, must encourage these people who are suffering to seek help. Depression is the most common underlying problem, and it is treatable. 90% of these people have an underlying mental condition and are very prone to alcohol and/ or substance abuse. Underlying chronic health conditions aggravate the problem as well. This is the 10th most common cause of death in America. 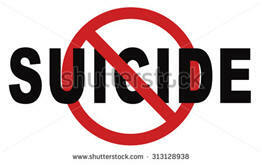 38,360 committed suicide in 2010 and 1 million attempt suicide annually. Men commit suicide 4 times more often than women, accounting for 79% of the suicides. 55% of successful suicides are from using a firearm. 25% is by suffocation (hanging, plastic bag, or carbon monoxide from an exhaust), and 18% occurs from poisons and overdoses including drugs (legal and illegal). Slashing the wrists is very common but not as successful. Be aware that many use more than one technique. Risk factors include: prior attempts (50-70% have had a prior attempt), family history of (suicide, violence, alcohol or substance abuse, mental disorders), a previous history of physical or sexual abuse, keeping firearms in the home, chronic physical conditions (cancer, Alzheimer’s, chronic pain, disability), incarceration, or exposure to suicidal behavior of others. The warning signs are: talking about suicide or death, obvious signs of depression (insomnia, sleeping excessively, social isolation, sadness, loss of interest, etc.) risky behavior, comments about worthlessness, changing a will, getting affairs in order, stating that life is not worth it, suddenly becoming very calm or unusually happy, and calling people saying goodbye. If an individual suddenly purchases a firearm, discuss this with the person or counselor. Get help!! Do not try and talk them out of it, but believe them that they are at risk and call a professional to ask for assistance. Talking about wanting to commit suicide is an emergency. Encourage the person to get help. If a person is taking anti-depressants or other psychiatric medications, be sure the person is taking their meds regularly. Many alcoholics who binge become suicidal. I have had to reconstruct faces from such patients. Do not leave these patients alone. Get rid of firearms, pills, etc. Call 911! There is some evidence that neurobiology supports suicidal behavior. The neurotransmitter, serotonin, is lower in levels of suicidal people. It is also the case in many depressed patients, and SSRI anti-depressants keep higher levels of this hormone in the brain combating depression. 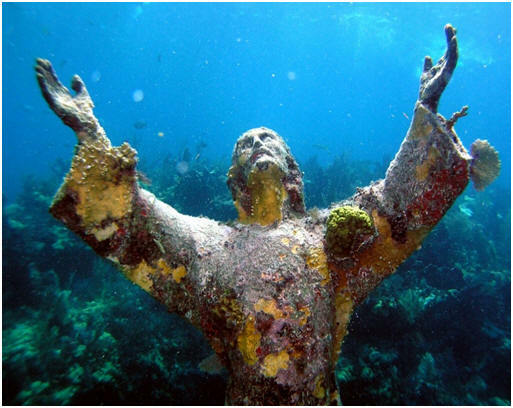 John Pennykamp Park under the water in Key Largo!! I have reported on this subject a few times because stroke is a major problem with older people. I have personally had radiation induced carotid obstruction and recently a stent in the only open carotid I had left. My other carotid was 100% occluded before I even was aware of it. The important thing is that I never had any clear symptoms of a TIA (transient ischemic attack) or stroke. In my case, with one artery 100% blocked and the other 70%, I had an internal carotid endarterectomy with a vein graft 5 years ago, and last year, the common carotid began to occlude (70+%), and I had a stent. I am taking a full adult aspirin to prevent the stent from blocking and continue to have no symptoms. the brain. 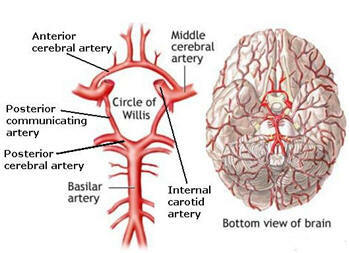 It connects the cerebral artery with the basilar artery (and vertebral artery systems). 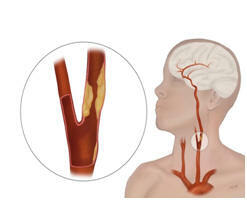 It is this system that can protect from strokes in a person with one blocked carotid or major cerebral artery. 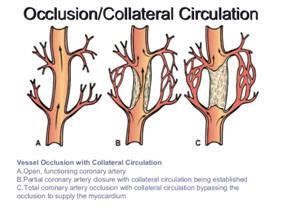 The other important anatomical fact is collateral circulation develops around a vascular obstruction. These are the two factors that help most people not have a stroke. About 50% of strokes occur from brain vessel obstructions and are not included in this study described below. Many of the strokes caused by intracerebral vessels are blood clots (emboli) that come from the heart valves, hemorrhagic strokes, and aneurysms. Studies on patients with significant carotid obstruction were evaluated. This study followed 3500 patients for 20 years with yearly carotid ultrasounds. 316 developed complete one sided carotid occlusion without symptoms. They were placed on intensive medical therapy (anti-hypertensives (120-70), anti-lipid-statin- therapy, normal blood glucose, a good healthy diet, daily exercise, aspirin, and smoking cessation). It was felt that this intensive medical therapy was a significant part of the reason they did not develop a stroke. Their conclusion…..medical therapy is recommended over preventative carotid artery surgery (endarterectomy) or stenting. Keep in mind these patients had no symptoms and medically were well controlled. This will be controversial with certain specialists. Discussion with your doctors is critical to come to an agreement on a plan of action. Before intensive medical therapy, the risk for stroke in these types of patients was 17.5%. When the study began using the intensive therapy, the rate fell to 7.5% after 10 years. It has now been calculated that the risk of stroke is 0.5% per year. What if your doctor recommends surgery or stenting regardless of the patient having actual symptoms or not? A recent study compared surgery and stenting and found about the same results 5 years later. 3.8% that were stented had a stroke and 3.4% who had a carotid endarterectomy had a stroke. 1. Having carotid artery surgery or stenting only decreased the risk of stroke from 6% to 3%. 2. Medical therapy is much more aggressive and effective today. 3. Risk of surgical intervention or stenting-- Carotid stents cause 30 day stroke and/or death rates higher than carotid endarterectomy. Although low, there is still a risk. 4. Stenosis progression is not predictable. If stenosis progresses from 70-99% (without symptoms), only 7 out 700 patients followed developed a stroke. 5. No benefit was seen in women who had carotid endarterectomy for asymptomatic carotid stenosis. Only men had a benefit. 6. The number one reason patients with carotid disease die is heart attacks (not strokes). Atherosclerosis is a systemic disease, and the disease must be addressed aggressively. 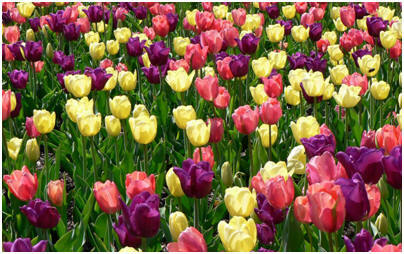 At this time intensive medical treatment is favored. 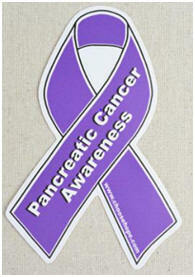 Pancreatic cancer is no different from any other cancer when diagnosed early. If it caught very early, the cure rate is high. The problem is it is rarely diagnosed early thus creating an advanced disease difficult to cure. 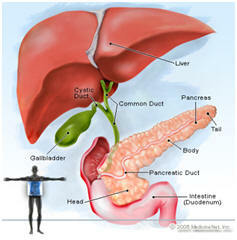 The pancreas lies behind the stomach as demonstrated in this drawing. It is a 6 inch spongy organ. 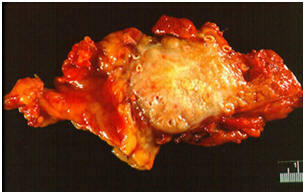 Here is a tumor (yellow) in the body of the pancreas. There are no symptoms in the early stages. When a cancer advances in size, it can frequently cause upper abdominal or back pain. Nausea, loss of appetite, depression, and fatigue are not uncommon, but painless jaundice and weight loss are the most common symptoms. 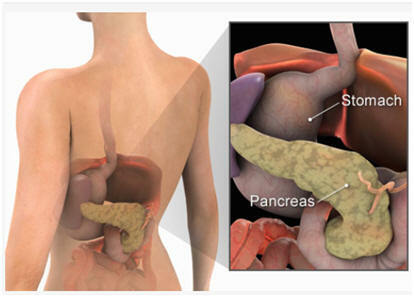 Jaundice (yellow) occurs when the cancer blocks the bile duct, which is very close anatomically to the pancreas. 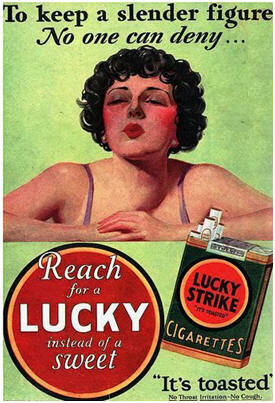 Smoking is the main risk factor. Chronic pancreatitis, cirrhosis of the liver, diabetes, obesity, consumption of a fatty diet, lack of regular exercise, being a black male, and having a family history of pancreatic cancer increases the risk. Lynch Syndrome (colorectal type of cancer in families) and a rare familial melanoma syndrome are also risk factors. CT scans can pick up these cancers, but screening for the disease is not recommended unless there are symptoms. 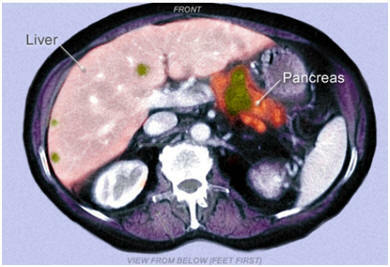 Below an enhanced CT scan demonstrates a cancer in the pancreas. A needle biopsy using a CT scan guided technique can diagnose the cancer. 53,070 men and women (3% of all cancers) will develop pancreatic cancer in 2016, according to the American Cancer Society, with 41,780 deaths. The 5 year survival rate is only 7%, because early symptoms are not present. The average survival time is only 8-12 months. Most of the cancers are adenocarcinomas and are found in the head of the pancreas, however, there are rare endocrine cancers that develop in the islet cells that secrete insulin (insulinoma) and other hormones. Steve Jobs had such a cancer, and he could have had a good chance of cure had he not refused surgery and tried alternative therapies which cost him his life. Pancreatic cancers occur frequently in these tumors, especially KRAS2 and p-16 genes. Working with these mutations may find selective therapies for those individuals. a) A family history (2 relatives, one who is a first degree relative) for pancreatic cancer, or one relative who has had that cancer. b) A woman who has the BRCA 1 or 2 gene mutation. c) The p-16 gene mutation (normally a suppressor gene to prevent cancer; found in other cancers too-i.e. melanoma). d) a gene mutation for the rare familial Peutz-Jeghers syndrome (abnormal pigment on the skin associated with colon polyps), shown on the lips and mouth. If a person has one or more of these risk factors, an endoscopic pancreatic ultrasound is performed with or without a fine needle aspiration and/or a CT scan. In this study of 40% (16 individuals) had positive findings (average age 58) for cancer. It is estimated that with these risk factors, the MRI could yield positive results in about 10% of all cases. 90% of cases do not have these factors. A radioimmunoassay blood test (CA-19 tumor marker) that is not ready to be used as a screening test, but the level of the antigen in 80-85% of pancreatic cancers can be followed similar to what is performed for ovarian cancers (CA-125). Also CEA (carcinoembryonic antigen) tumor marker increased in 40-45% of tumors. This cancer requires a radical surgery called a Whipple procedure, (pancreatico-duodenectomy—removal of the pancreas, part of the small intestine, part of the bile duct, and sometimes part of the stomach). The bile duct is reconnected to a remaining portion of the small intestine). Since over 80% of patients are not curable, other modes of therapy to control the disease for a time include stereotaxic radiation therapy, chemotherapy, and immunotherapy. 2 chemotherapeutic agents are FDA approved (Abraxane, Gemzar, and 5-fluorouracil) for palliative therapy. 7. 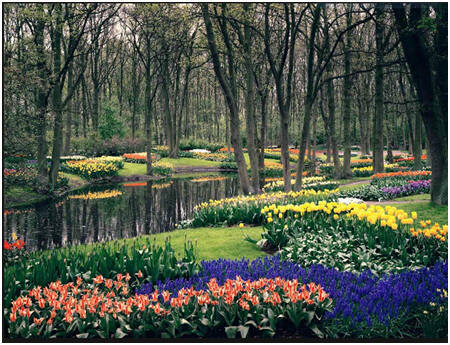 It is allergy season—what’s new? When our immune system reacts, certain white blood cells (mast cells) secrete chemicals (histamine, kallikreins, cytokines, etc.) which, in the case of the nose, sinuses, and bronchial tree react by producing extra mucus, congestion, bronchial constriction, etc. to combat these allergens. Unfortunately, the results are unpleasant with a stuffy nose, pressure in the sinuses, wheezing, cough, runny eyes, and fatigue. It affects us 24/7 with lethargy, pain, and difficulty sleeping. Fatigue sets in making us more vulnerable to viruses that may be around as well. Specific allergy seasons are known by most of us, but somehow we all forget that preventing these allergens from getting us is the best medicine. If a person knows that by April 1, their allergies might begin, prophylactic treatment (2 weeks before that date) is quite valuable to prevent and perhaps minimize the effects of inhaled allergens. The best treatment is a simple cortisone nasal spray. Assuming your doctor approves it, there are more than one cortisone sprays now available OTC (Nasacort and Flonase). These must be taken every day as a preventive. Do not confuse these steroid nasal sprays with the nasal spray decongestants (Afrin, neosynephrine, Dristan,etc.). 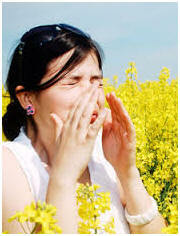 Limit the use of Afrin-type sprays to 3 days. The steroid sprays do not give immediate relief. They are used to counteract the allergens trying to cause a reaction in your nose and will be very effective in minimizing nasal and sinus symptoms. The nasal decongestants (Afrin, etc.) 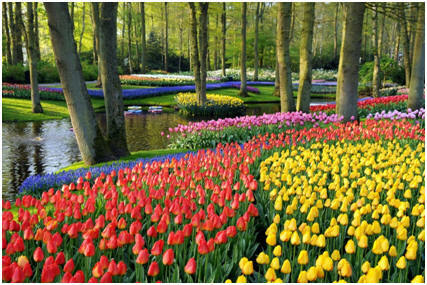 do not fight the allergens but will shrink the nasal lining dramatically relieving nasal and sinus congestion. These sprays are very irritating and easily can cause the nose to rebound with even more swelling when the medicine wears off. If you have ever been hooked on Afrin, you know how miserable you can get. I have treated hundreds of such patients. It requires the use of a steroid dosepak and complete cessation of the use of these addictive sprays. Another option of nasal sprays is saline nasal spray (salt water), which I highly recommend to all patients with nasal congestion regardless of cause. It is especially valuable if you need to rinse your nasal lining after you are exposed to a known allergen (like playing golf on freshly cut grass). Salt water sniffs (1 tsp. of table salt to 8 oz. of warm water) are highly recommended to siphon the mucus out of the sinuses. Neti-pots, etc. are available, but I personally recommend aggressively sniffing the warm salt water out of a cupped hand while leaning over the sink one nostril at a time. This is not a passive irrigation as is the Neti-pots. If you wait until you have sneezing, sniffling, etc., in addition to oral antihistamines ( you should consider Mucinex (guaifenesin-a mucus splitter) and an oral decongestant (if you do not have high blood pressure). Phenylephrine is the most common one, although pseudoephredrine (Sudafed) is more effective. It is now behind the pharmacy counter to keep the meth addicts from using it to cook up a batch of methamphetamine. You just sign for it, as it does not require a prescription. If you are taking blood pressure meds, you should talk to your doctor before taking any pill form of decongestant. Difficulty with sleeping is a common side effect of oral decongestants. Antihistamines by mouth (Allegra, Claritin, Zyrtec, etc.) should be used for sneezing, and heavy clear mucus not responsive to the above treatments. The non-sedating meds are no better but don’t make you sleepy. 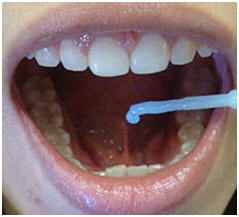 They can be taken in combination with oral decongestants (pseudoephedrine and phenylephrine are the most common). Read about the side effects (makes urination difficult, raises blood pressure, and some have erectile issues, etc.). A combination pill of non-sedating antihistamine and decongestant is commonly used and is very effective. 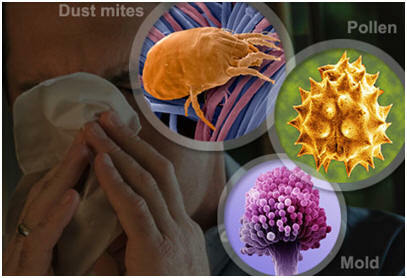 Nasal cromolyn sodium (NasalCrom and anti-leukotrienes) are also approved for allergic rhinitis. These can be used as a nasal spray or an inhaler. Originally, they were approved for asthma, based on their action, but they have proven valuable for nasal allergies and chronic rhinosinusitis. These treatments counter the inflammatory enzymes such as the cytokines. These must be taken regularly as a preventative. Talk to your doctor about these alternatives especially if your doctor does not want you taking nasal cortisone. The most common anti-leukotriene is Singulair (Accolate is another), an asthma medication . These are prescription medications, and if there is a component of allergic bronchitis with the upper respiratory allergies, it should be considered as it relieves bronchospasm. Although many patients combine antihistamines with Singulair, the FDA does not feel it is valuable to take both. Talk to your doctor. A word of caution: avoid taking OTC “cold and allergy” meds with multiple ingredients in them (Dimetapp, etc.). Read the labels carefully and ask the pharmacist about each ingredient. It is absolutely necessary to allergy proof your home, and avoid obvious exposures, triggers (smoke, perfume, exhaust fumes, etc.). Patients who suffer and are not well controlled by the above regimens should see an allergy specialist to be tested. Immunotherapy (desensitization) has advanced and is taken as shots, which essentially gives you incrementally larger doses over time of the allergens you are allergic to). If a patient sticks with the program, there is an 80-90% success rate, but it takes 6-9 months before any improvement can be appreciated. Taking these shots for 3-5 years is not uncommon. Systemic allergic reactions can occur, and that is why patients must receive their shots in the allergist’s office in case an anaphylactic reaction occurs from the shot and emergency treatment is necessary. 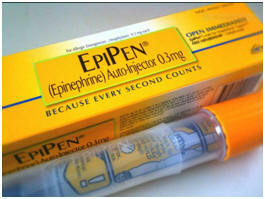 Epipen injectors are a must for those with serious allergies. It is very important to know how to use these auto-injectors. It can save your life in an emergency allergic reaction. Sublingual immunotherapy (SLIT) is more commonly prescribed in Europe, and it is being used as a treatment for pollen allergies in the U.S. This could save the trouble and expense of weekly allergy shots. The long term benefit of this new therapy (SLIT—sublingual immunotherapy) is still under study. They are not meant for those with multiple allergies, but could be considered as an alternative to allergy shots, those not able to get to a doctor’s office weekly, and in more senior age groups. Recently SLIT has been approved for Timothy grass and ragweed. I suspect, thanks to the plethora of lawyers in this country, SLIT will not find great popularity in the U.S. until research shows distinct advantages. The latest treatments for sinusitis will be discussed in the June report. This completes the April, 2016 report. There are so many major issues for all of us to digest these days, but our health takes no holiday. 5-The current status of cancer in the U.S.